Translation:The pizza I had eaten was big. "The pizza I ate was big". Why is this wrong? Sorry if the answer seems obvious, but I am having difficulty with the translations for the Korean sentences and would appreciate any further explanations to clarify this. that would perhaps be "내가 먹은 피자는 컸어요"
I had the same problem with this. Why 먹었던 and not 먹은? Oh boy, hard to explain. 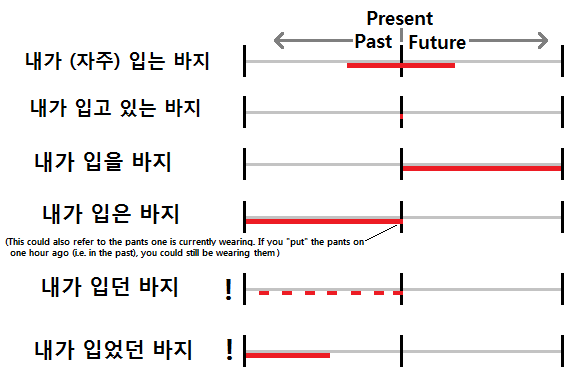 So, ~던 is also used for describing things in the past, but it's a very subtle nuance of having a memory of something. Just 먹은 has no emotional connection to the pizza, so using 먹었던 makes it seem like it was a memorable moment. I agree with @wintertriangles about the nuance of remembering, having a flashback. You can read more about it in (too much) detail on the howtostudykorean website. 그 책은 제가 읽던 책이에요 --> you haven't finished reading yet, you are in the process of reading the book. 그 책은 제가 읽었던 책이에요 --> you finished reading that book. where the exclamation mark “!” for the last two depict that there is a feeling that those actions are being recalled from experience. Why doesnt " the pizza i ate was big" work? "제가 읽던 책은 두 권이에요."